In my previous article I discussed how a Leader Selects, Equips, Trains, and Influences one or more follower(s) who have diverse Gifts, Abilities, and Skills. 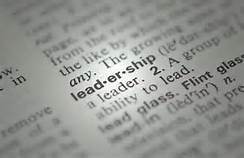 Before volunteers or employees become followers of a leader, the leader must first bring the people to the organization (Winston, B. E. & Patterson, K., 2006). The failure of a leader to identify their personal strengths and selecting complementary traits to support him will leave blind spots for him and the organization. Today, I’m exploring another aspect of the role of the leader, which is to be able to use interpersonal communication including active listening and positive interaction. Have you ever had to work with a manager or coach who was negative? If so, you can remember how much of a drain that type of leader could be! In 1998 I played for a Coach named Jim Mora. And he was known for wearing his emotion on his sleeve. I will never forget the time when after we made the team after the final cuts, he told the team that we were not talented enough to win! He actually told us that he would be looking to add talent to the roster throughout the year. This immediately took the excitement of the new year out of the room, and caused us all to know that we had no job security. The team ended the season 3-13 that year. The use of both persuasive rhetoric and interpersonal communication including both active listening and positive discourse. Leaders influence followers primarily through interpersonal interactions (Winston, B. E. & Patterson, K., 2006). Winston and Patterson (2006) refer to rhetoric as the process of using language effectively, and persuasive rhetoric is the process of effective persuasion. Being able to connect with and engage followers is a vital component for a leader. Being able to identify strengths, and build a team in one aspect of leadership, but proper and effective communication that connects with the values of the followers is something else. “Leadership includes competency, skills, and vision, but ultimately it must also go beyond and enter the realm of relationship” (Townsend, 2009, p. 108). Because relational images play such a vital role in peoples lives (Townsend, 2009, p. 110), a leader must understand how to create, and maintain an influential role in the followers life. Engaging with intentional, inspirational, and vulnerable conversations allows for people to engage and connect with leaders. Why? It’s because people tend to follow leaders who are vulnerable, more so than leaders who are not. Being intentional with vulnerability allows for leaders to have a deeper level of influence. A leader who is unable to connect with what people are really thinking, feeling, and experiencing is a leader who weak in interpersonal communication and active listening skills (Cloud, 2006, p. 50). If a leader isn’t careful, they can tune out to what their followers are experiencing, feeling, and thinking in a way that makes them feel unheard (Cloud, 2006, p. 50). This can leave followers feeling as though they are a part of an out-group, and not connected to the core of the organization. This can lead to inefficiency, not accomplishing pre-determined goals, and organizational dysfunction. Leaders must be willing to listen with the intent to understand where the followers are coming from. People trust people who think listen to them, understand them, and are able to empathize with realities as well as their own (Cloud, 2006, p. 52). Listening with the intent to understand doesn’t mean that the leader will agree with what is said, but it means that the followers know that the leader will listen (Cloud, 2006, p. 52). Cloud, H (2013). Boundaries for Leaders: Results, Relationships, and Being Ridiculously in Charge. Northouse, P., (2015). Introduction to Leadership: Concepts and Practice. Townsend, J., (2009), Leadership Beyond Reason: How Great Leaders Succeed by Harnessing the Power of Their Values, Feelings, and Intuition. Winston, B. E. & Patterson, K. (2006). An integrative definition of leadership. International Journal of Leadership Studies. 1(2), 6-66. The Leadership Challenge, summarized by arrangement with John Wiley & Sons, Inc., from The Leadership Challenge, Fourth Edition by James M. Kouzes and Barry Z. Posner. Copyright © 2007 by John Wiley & Sons, Inc.